N.J. is moving toward legal weed, but 50 towns have banned it. See the full list. New Jersey has never been closer to legal weed, after lawmakers late last month took the first step toward legalization by advancing the bill to the full Legislature. But even with that progress on the state level, dozens of towns have never been farther from having legal weed. As has been happening all year, towns continue to take steps to ban legal weed businesses from operating within their borders. The number of towns with some sort of ban or opposition of marijuana is now at least 50, nearly 10 percent of all the towns in the state. While legal weed is not yet a done deal in New Jersey, as the full Legislature must still approve the bill and the governor must sign it, many more towns in the state have taken an opposing stance than a supportive one. If legalization does happen, these towns would not be able to prevent residents who are at least 21 year old from possessing small amounts of weed and using it in a private residence. But they can prevent marijuana businesses from growing and selling in their limits. See below for the towns that taken that step. 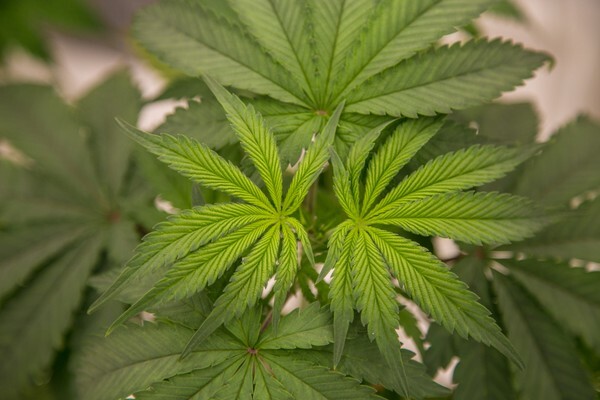 Will N.J. vote this year on legalizing weed? It all depends on a big meeting this week. Efforts to legalize marijuana gained momentum when the legislation sailed through multiple committees two weeks ago — only to have it all grind to a halt again as Gov. Phil Murphy and the Democratic lawmakers have since refused to meet. A private negotiating session scheduled for Thursday will likely determine whether or not they end 2018 keeping a public promise to end pot prohibition. Representatives for Murphy and Assembly Speaker Craig Coughlin, D-Middlesex, confirmed the meeting and that cannabis is on Thursday’s agenda. It’s likely the last time the governor, the speaker and Senate President Stephen Sweeney, D-Gloucester, will meet before 2018′s last scheduled voting session is held on Monday. Sweeney said he’s still holding out hope the meeting will lead to an accord on the final sticking points on the bill legalizing marijuana for adults 21 and over. “Until we have communication with the governor, we won’t know,” Sweeney said. Murphy remains opposed to creating a full-time Cannabis Regulatory Commission that would be empowered to control the industry, including the medicinal marijuana program. The latest version of the bill requires an examination at the three-year mark to see if the commission is doing its job and should be scaled back. It’s a compromise acknowledging the governor’s concern about having too much power, Sweeney said. “We felt a full-time commission, to deal with the licensing, was important. It was what they did with casinos” after gambling casino gambling was legalized Sweeney said. Murphy has declined to publicly discuss what he finds objectionable in the marijuana legislation. Hugh O’Beirne, president of New Jersey Cannabis Industry Association, said he doesn’t have a problem waiting a little longer for a compromise. “I don’t think this is kicking the can down the road. I actually think there are real issues in the state that sort of caution a careful approach, which means getting it right and getting the requisite buy-in from the legislature and the municipalities,” O’Beirne said.